You’ve tried every trick in the book from bedtime stories to night lights to co-sleeping, but your little guy’s still terrified of the dark. 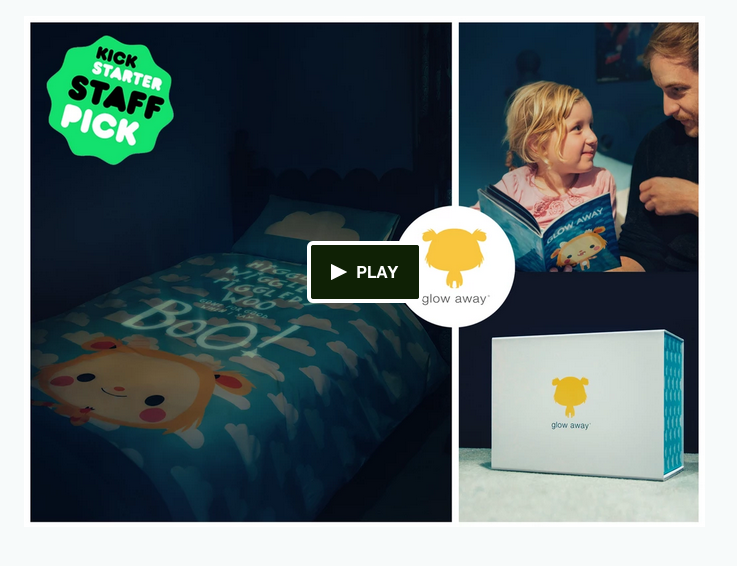 Here’s one original solution to the problem: a glow-in-the-dark duvet cover and bedtime story set (including a magical spell) that promises to calm nighttime fears. Once the story is read and the lights are dimmed, the duvet glows with the words of the spell, protecting and comforting frightened kids so everyone can get their much-needed sleep. Glow Away is the creation of Davide Russo and Charlotte Cramer, a pair of Brooklyn- and London-based creative consultants for start-ups and NGOs. 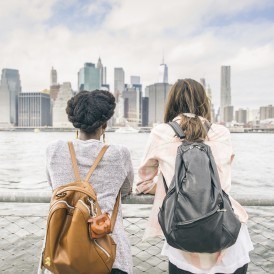 While the duo don’t have psychology backgrounds per se (or, it would seem, kids of their own), they have consulted with a team of psychologists, pediatricians and designers to address a problem they say affects 50 percent of all children ages 2 to 7. The result is a rhyming, 20-page story based on psychologists’ guidelines for addressing fear and anxiety in children and illustrated by award-winning artist Luli Bunny. It comes with a 100-percent percale cotton duvet cover and pillow set emblazoned with the book’s main character, Boo, and a “spell” printed in machine-washable, non-toxic, glow-in-the-dark ink (that the company claims won'to fade if washing directions are carefully followed). Now Davide and Charlotte have turned to Kickstarter to fund their project and have already raised over 75 percent of their $20,000 goal. With seven days to go, there’s still time to join the cause: A pledge of $5 will get you a sticker with a unique backer ID plus Facebook and Twitter badges to help spread the word; $49 will get you a glow in the dark duvet cover (in blue or pink), a matching pillow sham and the Glow Away eBook; for $600, you’ll get a Glow Away (duvet, pillow sham, audiobook, illustrated book and keepsake box), plus a professional photo shoot in New York or London with your child to be featured on the Glow Away website. Ask an expert: Is it okay to put a kid in a windowless "bedroom"?